Are you eating the right foods to maximize your vision health? So many times, people forget how important a balanced diet is for your eyes. Eating well and consuming a wide variety of vitamins and nutrients is crucial for your overall health. Fish, specifically fresh water fish like salmon, is packed with omega-3 fatty acids. This is one type of fat that you do not want to cut out of your diet. Fresh water fish are known for their omega-3 contents, which can help to prevent several vision conditions. Revamp your eating habits. Add fresh water fish and reap the eye benefits they have to offer! A common misconception is that all fats are bad. In order to maintain a balanced diet, you need to consume fat. In fact, 30 percent of what you eat should be fat (20 percent should be protein and 50 percent, carbohydrates). Now, when we talk about fat, we don’t mean potato chips and slices of pizza. These are good examples of bad fats. These foods include trans and saturated fats. These types of fats are linked to obesity, heart disease and high cholesterol. However, not all fat is created equal. Some fats are good fats and should be included in your diet. Naturally occurring fats such as omega-3s, polyunsaturated and monounsaturated fats shouldn’t be avoided. Good fats can be found in a range of foods. These can include fish, oils (olive, sesame, sunflower, etc. ), avocados, nuts and seeds. Bad fats (or artificial fats) can be found in junk food and hydrogenated oils (like coconut oil or Crisco). If you’re trying to lose weight or just want to eat healthier, make sure to read labels. Scope out how much and what kind of fat is in what you’re eating. Avoid trans and saturated fats, but don’t cut our omega-3s and other good fats. Fresh water fish such as salmon, trout and tuna, are the best kinds of fish for your eyes. The omega-3s found in fish have been linked to helping with vision development and the prevention of several vision conditions. Numerous studies have shown that omega-3 fatty acids are a crucial part of early childhood vision development. This isn’t to say that you should be feeding your new born children fish. However, feeding them a formula with omega-3s can benefit your newborn’s vision development. Omega-3s are thought to increase a baby’s visual acuity. Visual acuity is what allows us sharp and precise vision. This is an especially important skill to have for children when they begin school. They’ll need good visual acuity to learn to read, solve math problems and play sports. Consuming fish can also help with the slowing of age-related diseases. Age-related diseases can include macular degeneration, glaucoma and cataracts. Natural sources of omega-3s, such as those found in fish, have shown to slow the progress of age-related vision diseases. Consuming omega-3s before the diseases set in has also proven to reduce a person’s risk of developing said diseases. Eating fish has also long been linked to reducing dry eyes. Dry eyes are often treated with band-aid solutions like eye drops or oral medication. 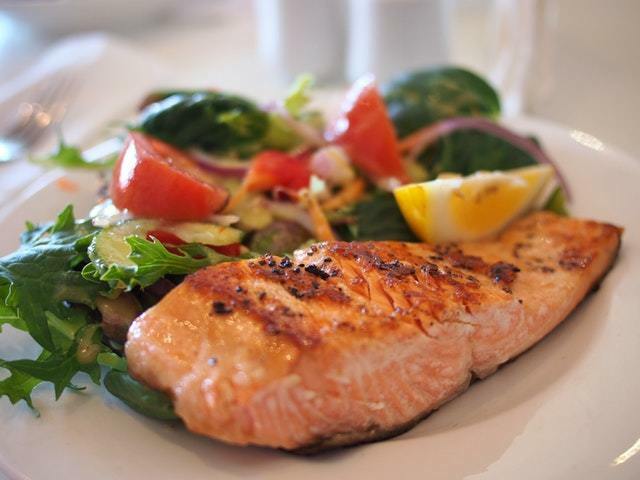 Consuming fish at least twice a week will help to reduce your dry eye symptoms. 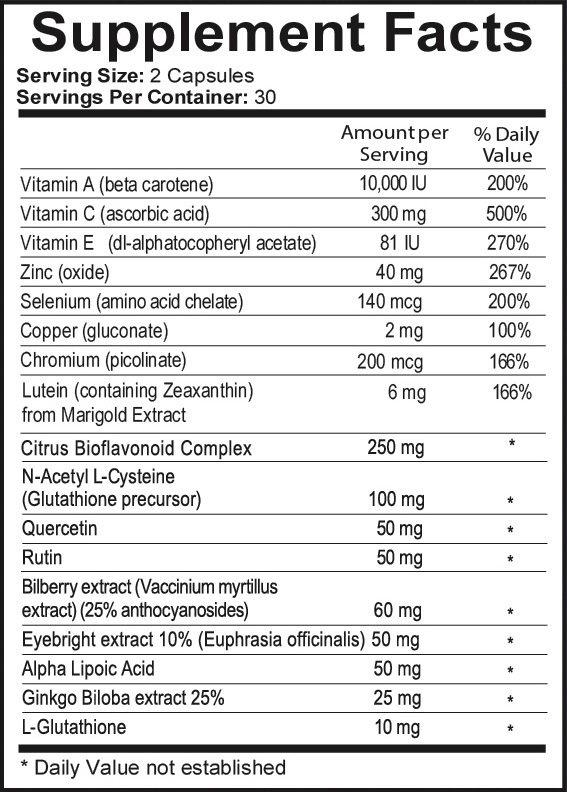 Omega-3s will also provide you with lasting results, as opposed to other treatments. Worry not, animal lovers! You too can take care of your eyes even if you don’t eat fish. Although fish is the best source of omega-3 fatty acids, there are plenty of vegetarian friendly ways to incorporate omega-3s. ​Some vegetarians don’t eat animal flesh but will still consume animal products such as chicken and beef stock. 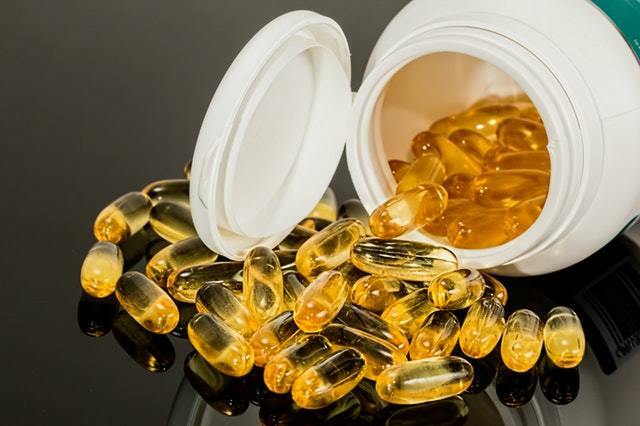 In this case, a fish oil supplement may be a good alternative for you. If you eat an ovo vegetarian diet, then eggs would also be a good source of omega-3 fatty acids. ​If you do not consume any meat product or meat by-product, then your options are limited. You can take a flaxseed oil supplement. A different type of omega-3 is found in flaxseed oil that is slightly less complete than omega-3s found in animal products. However, you can still receive the same benefits. 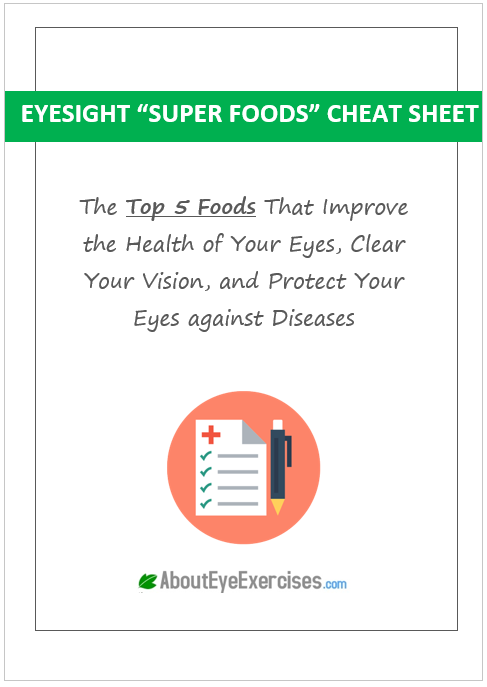 ​Your Eyesight "Super Foods" Cheat Sheet ​is ​being ​sent to the email you provided.